When you hire me as your agent, my fiduciary responsibility to you becomes central to our relationship. This means that throughout my time with you, I will place your interests first. I find the best way to do this is to put myself in your shoes. It’s actually a fun process as I have to “get into your head” to understand your perspective and what’s important to you. I once had a client who was so preoccupied with security issues that she passed on a fabulous view condo because one of the windows overlooked the roof of the eleven-story building next door. Now only Spiderman could have made that climb and jumped through that window, but I empathized and honored her need for peace of mind. Ultimately she bought a different place that was better suited to her needs. Other times I see owners working against their economic best interests when they decide to sit instead of sell, Then I remember how the most practical real estate choice may not be the best one if the emotional cost is too high. I speak from the heart on this matter because I have real estate in my own portfolio that I hang onto for completely personal reasons. I’m also a bit like the cobbler with holes in his shoes. I probably would sell and buy more it if I had the time and energy to assess the idea, but I’d far rather puzzle over your problems than my own. This is not because I practice avoidance, but because I already know all about my problems. Yours are fresh and new and far more interesting to me. So please call if you want to noodle things around. You’ll find me a great sounding board and all ears about your particular situation. I hope to hear from you soon! Not only is Paragon Real Estate making waves in the Bay Area, but its research is being noted across the country – and in particular in a New York Times piece about a Silicon Valley investor’s warning that there may be a bubble afoot in the tech world. Prominent investor Bill Gurley said earlier this month at the South by Southwest conference in Austin, Tex., that venture firms take major chances on up-and-coming tech firms with no true business experience. That can translate to high burn rates, also known as a lot of cash out without a lot of productivity to show for it. Gurley is a current partner at San Francisco-based venture capital firm Benchmark and has also spent time as an engineer at Compaq Computer. He cited a report by Paragon that noted that home prices in the Bay Area have gone up by a head-spinning 97 percent since January 2000. If there is a collapse, he said, the tech industry may not be alone in feeling it – real estate could be along for the dubious ride since a drying-up of tech industry wealth could very well translate to a drop in property prices. Does that mean it’s time to worry? Keep in mind that this is but one person’s opinion. That said, I would definitely advise you to stay tuned to our market reports to get the very latest in the industry when it comes to news and information that you can use. If the New York Times turns to us, you should too. What would you say if I told you that you could raise a brew and help a child? Now that’s a true win-win situation. The good news is that this can be a reality this weekend. The Battle of the Brews, now in its 19th year, takes place this Saturday, March 28 at the Sonoma County Fairgrounds’ Grace Pavilion. The Craft Brew Cup and ‘Wich Hunt, which features the most delicious sandwiches from local chefs, runs from 1 p.m. to 4 p.m., while the main event takes place from 4 p.m. to 8 p.m. The taps will be turned off at 7 p.m., so plan ahead! More than 60 breweries will battle it out in the Craft Cup, a judged specialty craft brew competition that encompasses a wide range of premier microbreweries from across the country. What’s more, all proceeds go directly to helping needy children in Sonoma County. 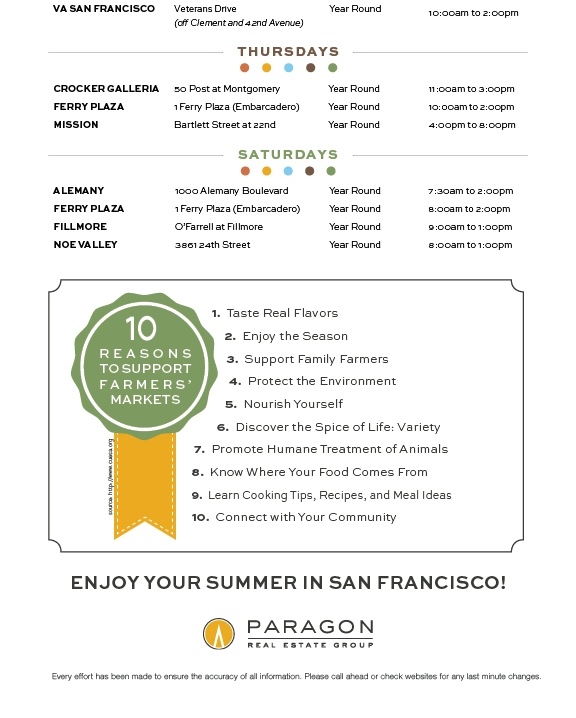 · Tasting of all Craft Cup competing brews starting at 1 p.m.
· Tasting of all ‘Wich Hunt competing dishes starting at 1 p.m.
· Access to the Main Event. The Sonoma County Fairgrounds are located at 1350 Bennett Valley Road in Santa Rosa, an hour’s drive north on the 101 freeway from San Francisco. If you’re a beer lover, you know that you’re willing to travel much further than that for a good brew. Part two: should I sell my house off-MLS? Yesterday we began looking at Paragon’s guide to the pros and cons of off-MLS pocket listings. Today let’s continue that discussion by looking at what technique typically achieves the highest possible sales price. Often in today’s red-hot market, one specific buyer is willing to pay significantly more than any of the rest of the competition. The goal of comprehensive marketing, which includes placing the property in the Multiple Listing Service, is to reach that highest-paying buyer in addition to generating as much competitive bidding as possible. Failing that, the goal is to orchestrate a scene in the buyers’ mind that suggests intense competition for the property. If you skip the comprehensive marketing part of the sales strategy, it’s far less likely that the best buyer (in this case, the highest-paying one) will know that your property is up for sale. In addition, it’s also far less likely that an intense competitive bidding situation will be orchestrated. This means that it’s highly possible that your property will sell for less money – and perhaps significantly less – than might have been possible were it on the MLS. That doesn’t mean that you won’t necessarily find a well-paying buyer when you go off-MLS. However, there’s really no way to tell if you’re getting the best price possible or even getting current fair market value, which is especially true in a rapidly appreciating market. According to a recent analysis of all residential property transfers reported to the San Francisco Assessor-Recorder in 2013, about 89 percent of that year’s home sales in the city occurred through the MLS and 11 percent occurred off-MLS. That coincides with Paragon research as well. Researchers Matt Fuller and Britton Jackson of JacksonFuller, who conducted the analysis, also found that homes sold off-MLS averaged sales prices of 9 percent to 17 percent less, depending on property type, than MLS-marketed properties. The choice is yours, of course. Call with any questions. Part one: should I sell my house off-MLS? If you’re thinking about putting your home on the market, you may also be wondering if you should do so off of the Multiple Listing Service. Also known as pocket listings, these were once far less common, but have been heating up lately with the growing competitiveness of the market. 1) Confidentiality and privacy are your highest priorities. Under no circumstances do you want it to be public knowledge that you are selling your property and you are not interested in any public marketing or public showings. 2) You are not interested in preparing your home for showings, holding open houses or making much effort whatsoever when it comes to preparing your property for sale. You may not even need to sell it, but rather are holding out to see if a potential buyer will offer a certain price to take it as-is. 3) You are of the opinion that you’ll get the highest sales price when marketing your home off of the MLS because buyers who learn of your listing may believe that they’re getting a special inside shot at buying and will in turn step up aggressively to bid. All fair and good, but what about potential trade-offs? We’ll look at these in depth tomorrow when our series on off-MLS listings continues. Stay tuned, won’t you? 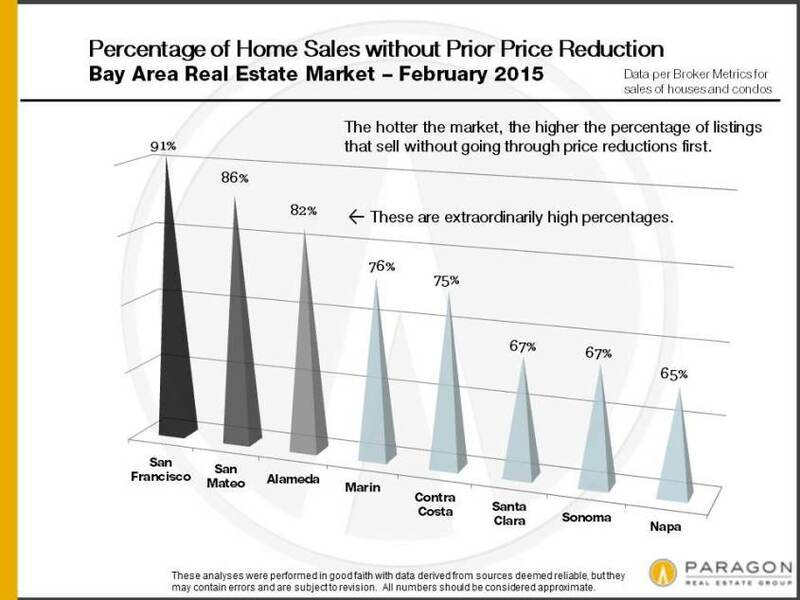 Across the Bay Area, how many listings sell without price reductions, how quickly do they sell, and at what percentage of asking price? What role does employment play in the real estate market? Which are the biggest and smallest county markets, and how do prices and rents compare? 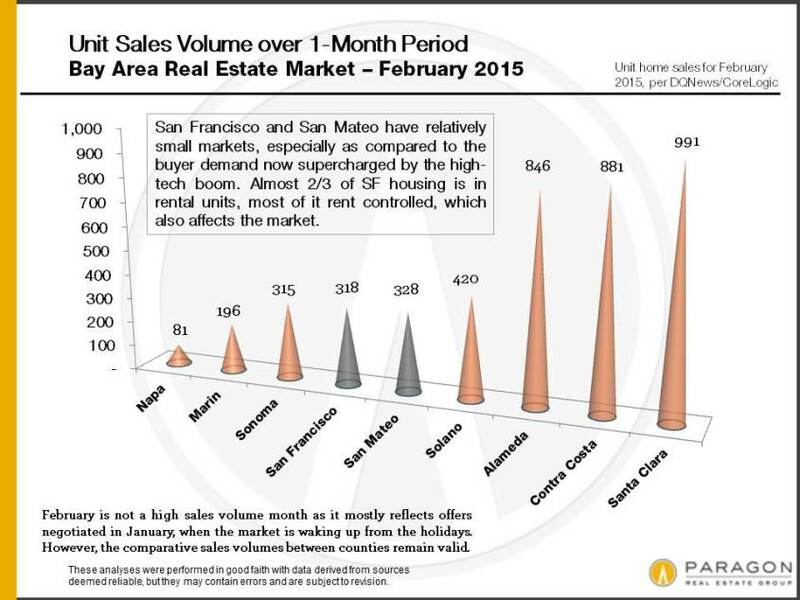 The white-hot – some would say overheated – core of the Bay Area homes market is San Francisco and Silicon Valley, and the heat radiates out from there, diminishing as one gets further away. This core is defined by the incredible strength of the economy, much of it supercharged by the high-tech boom. However, there are also cultural and lifestyle factors, as well as what might be called the creativity/innovation-cluster effect, all of which have almost gravitational attractions. Indeed, San Francisco is almost a perfect example of the “super city” concept, drawing in people from all over the country and the world like a giant magnet. 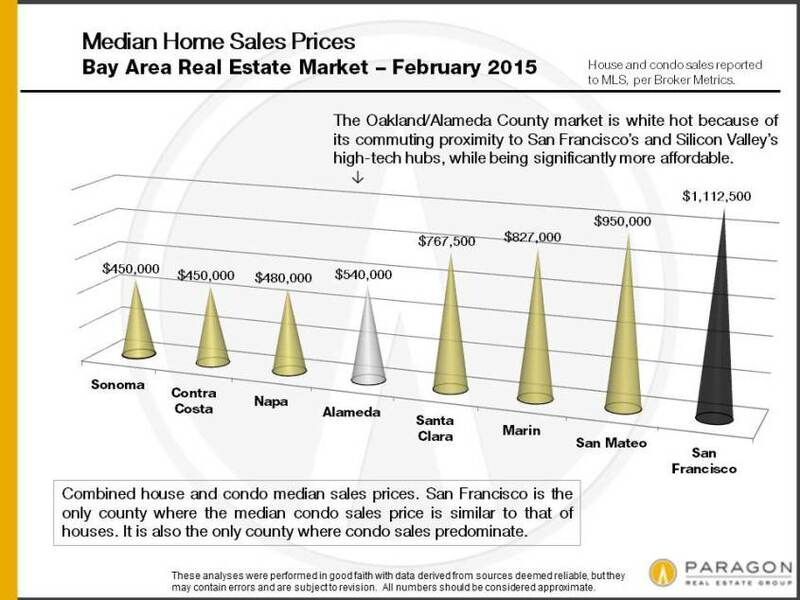 Because it’s close and a (relatively) easy commute to these areas, and so affordable by comparison, Alameda County (which includes Oakland) is also crazy hot. Marin has a strong market but is less feverish, firstly because getting to Silicon Valley isn’t as easy – one has to fight one’s way across the whole city to get to Highways 101 and 280 south – secondly, because it’s a very wealthy and expensive county, so it doesn’t offer quite the attraction of big home price discounts, and perhaps thirdly, because Marin has the highest median age in the Bay Area (45 years), and much of the high-tech employment boom is characterized by (pre-family forming) youth who prefer a more urban environment. As one gets further north, east and south of the inner core, the markets become less overheated: It’s not that these markets are weak – in fact, some are quite hot and they’ve all been strengthening for the last 3 years. It’s simply that they’re not characterized by a feeding frenzy of almost overwhelming demand meeting limited inventory. Except for sellers eager to maximize their homes’ sales prices, that’s not necessarily a bad thing. It should be noted that many of the charts below reflect February sales data. 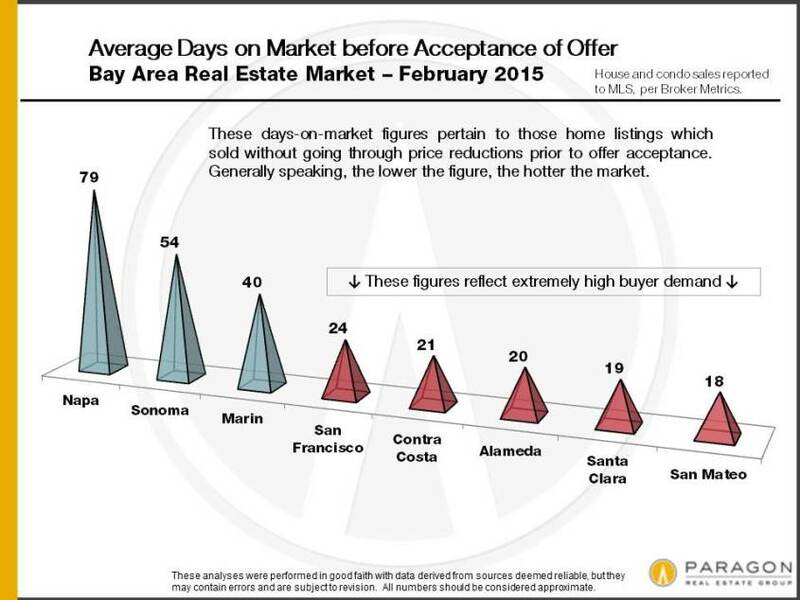 Generally speaking, Bay Area markets have become significantly hotter as the calendar gets deeper into prime spring selling season. Most of these charts speak for themselves, so we’ve kept commentary to a minimum. 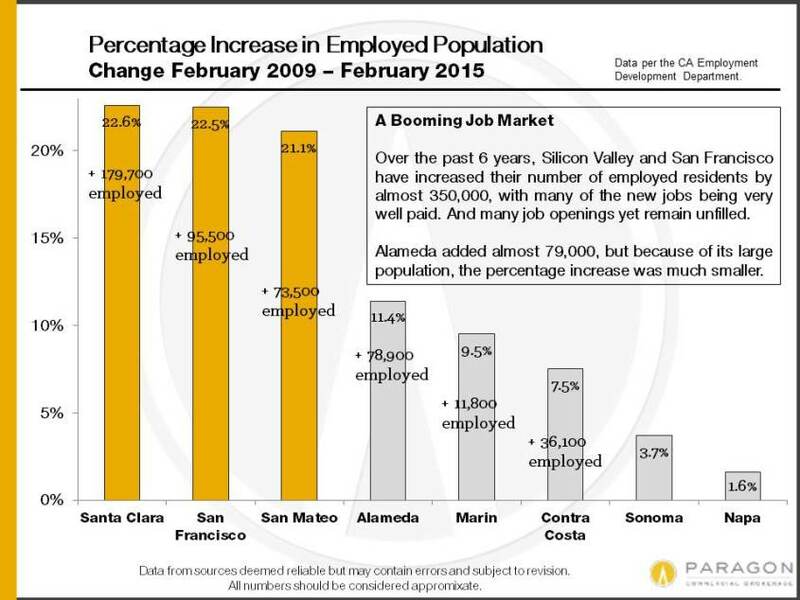 As an illustration of perhaps the Bay Area’s most important market dynamic, this chart below delineates new job creation over the past 6 years. In San Francisco, for example, there are over 95,000 more employed residents than in 2009, and according to the San Francisco Business Times (3/6/15), there are currently 8600 unfilled software engineer positions in the city. During the same 6-year period, approximately 10,000 new housing units were built in the city. That ratio of new employment to new housing equals a desperately competitive housing market. Other factors play important roles in the Bay Area markets – such as affluence and education levels – and many of these are assessed on a county by county basis in our 2014 report on San Francisco Bay Area Demographics. 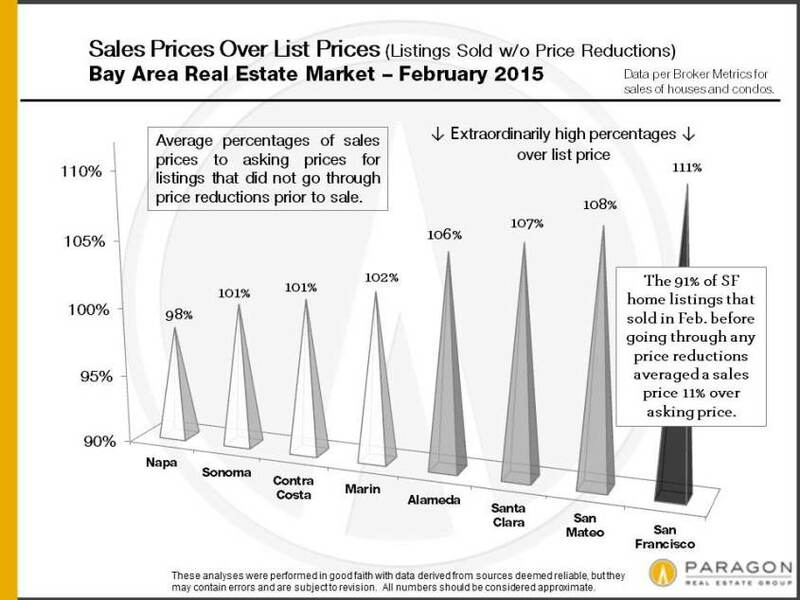 · How many listings are selling without price reductions? · How quickly do they sell? 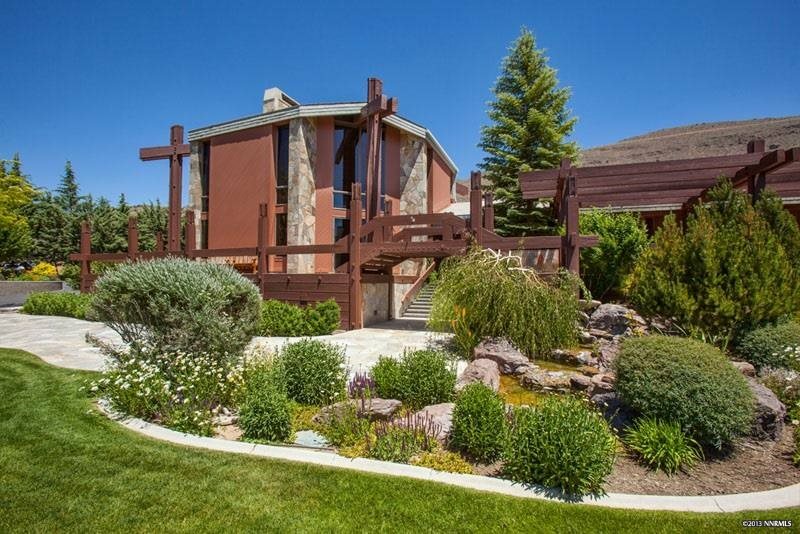 · At what percentage of the asking price do they sell? · What role does employment play in the real estate market? 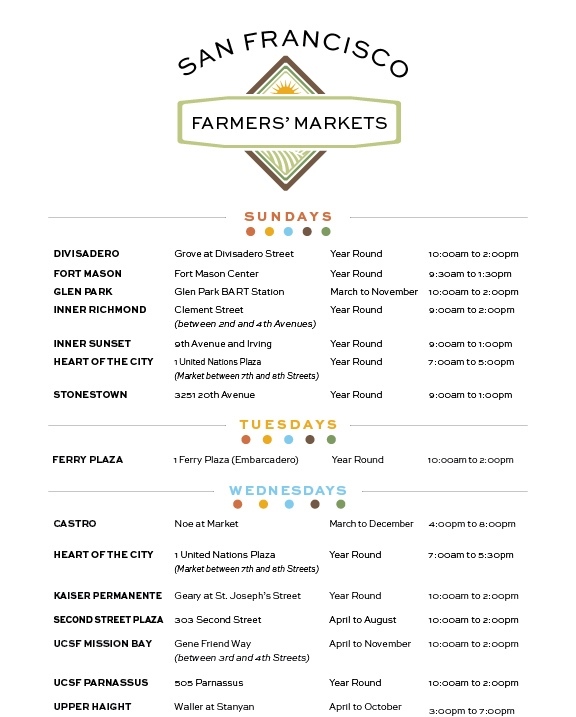 · What are the biggest and smallest county markets? 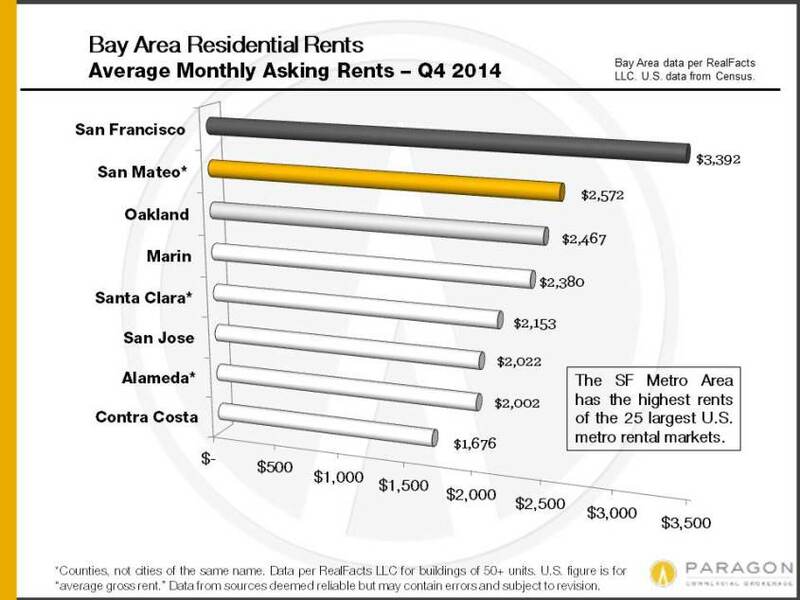 · How do prices and rents compare? This all leads to San Francisco’s status as a super city, which draws people from across the country and around the world. 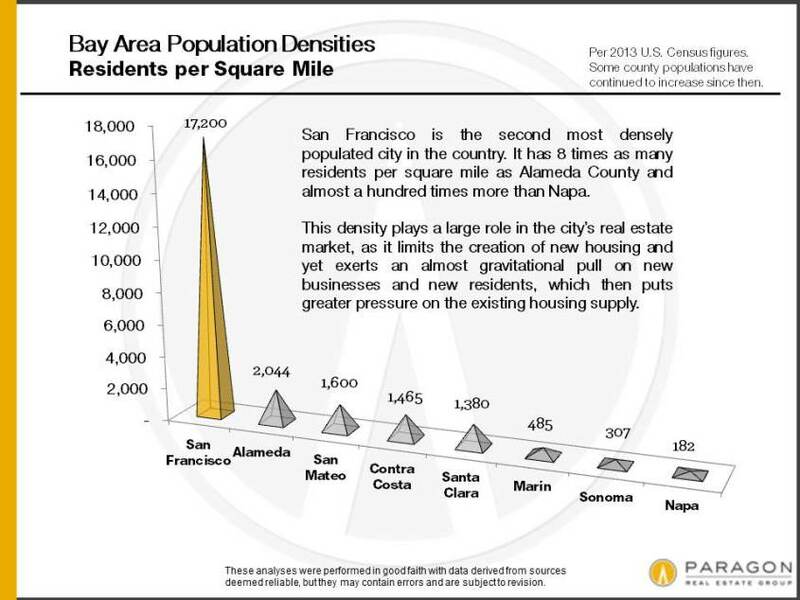 Additionally, Alameda County has also become ridiculously hot given that it’s a (somewhat) easy commute to the core and also relatively affordable by comparison. Though Marin also has a strong market, getting to Silicon Valley isn’t as easy and it’s a very wealthy and expensive county that doesn’t offer the attraction of major discounts. In addition, Marin has the highest median age in the Bay Area (45 years old) and much of the high-tech employment boom is characterized by younger people favoring a more urban environment. The markets grow less overheated as one goes further north, east and south of the inner core. While these markets are quite hot in pockets and have been strengthening for the past three years, they are not characterized by the feeding frenzy of the core. Check out the charts that accompany this article and keep in mind that many of them reflect February sales data. Having just been granted an exception from San Francisco’s notoriously arduous environmental review process, the proposed 1700 Market Street project has seen a major redesign from its original vision. According to SocketSite, the property will now be built as a 48-unit building encompassing 26 studio apartments and 22 one-bedroom units. The San Francisco Planning Department exemption from environmental review was issued on March 12. It notes that the 3,471-square-foot triangular site, currently the home of the two-story, 6,800-square-foot FastFrame building on the corner of Market and Gough, also has Haight Street frontage. The proposal is to demolish the FastFrame building and build an 8-story, mixed-use residential building with ground-floor retail. The original design of the 1700 Market Street project was that of a high-end group housing project with shared kitchen and gathering areas. That design, SocketSite notes, was largely in order to get around the Market-Octavia Neighborhood Plan, which holds that 40 percent of new non-group housing developments in the area must be two-bedroom units. However, group housing is the exception to the rule – and that original design fit into that category with limited kitchen facilities in the individual units. So what’s the next step for this project? A Conditional Use Authorization must be granted by the San Francisco Planning Commission. We’ll keep you updated.